A terrific cast brings out the very best of brand new Australian musical CROSSxROADS. What a difference a director makes. 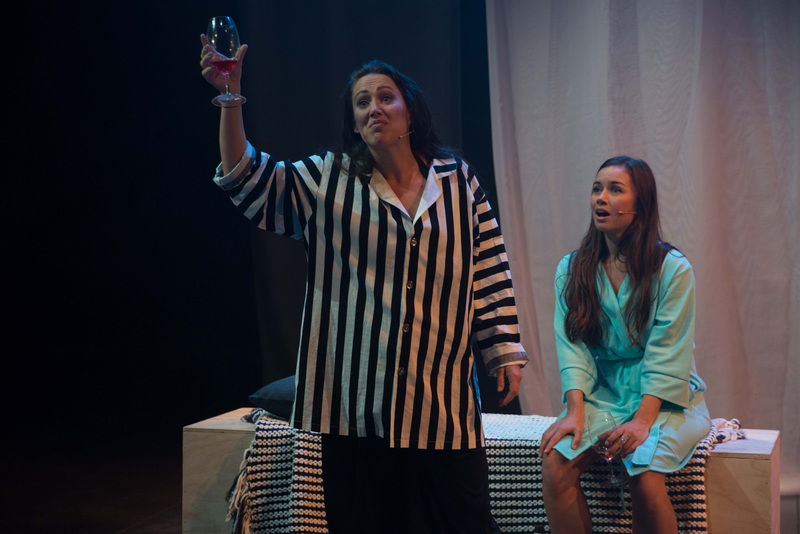 With the evolution of new musicals still not fully supported in Australia, CROSSxROADS stands well ahead of recent entries due to the simple act of engaging a strong director. The immediate benefit is that any rough patches or teething problems are at least partially soothed by the innovation and vision of a director who treats the work like a prized gem. The flow-on benefits mean that CROSSxROADS has attracted an incredibly talented cast and a highly capable production team. Director Tyran Parke has taken a relatively simple story and created a living piece of theatre. The original work features the everyday characters of a romantic comedy. It is a little hard to care for the characters at first, as the set of graduating university students rushing off to travel the world seem to breathe fairly rarefied and privileged air, yet Parke wins us over with the intensity of the central romance as well as the amusing exploits of the comical second lead couple. Each of the eight highly talented cast members devotes their full energy and commitment to giving their very best performance. Anthony Costanzo’s score is a highlight of the new work. 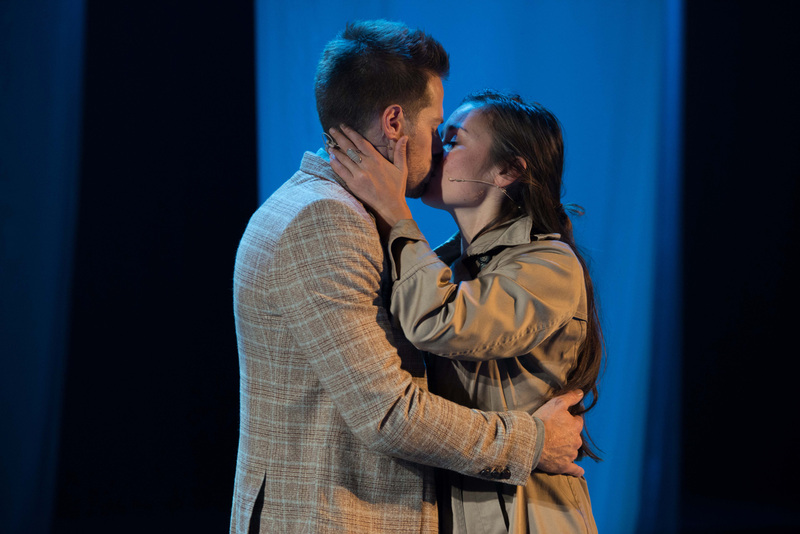 Presented in the modern style where extended musical scenes involve seamless transitions between song and dialogue, the show achieves an effortless musical flow thank to the expert work of music director David Wisken. Wisken knows the music intimately, having written the arrangements and co-written the orchestrations with Costanzo. There are many charming numbers, particularly a couple that are set up in advance through the script. Hannah has said that she likes “Wind Beneath My Wings” from Beaches then sings lovely ballad “Be My Wings” in a poignant scene at the start of act two. Likewise, Rick’s knockout act two ballad “Yellow Brick Road” draws on the fondness that the character expressed for The Wizard of Oz. Keeping with the contemporary setting of the show, Costanzo moves storytelling forward with modern forms of communication. In the late 1990s, the characters make “The Phone Calls,” before moving on to “The Texts,” “The Emails” and, finally, Skype. Costanzo delivers two terrific comic duets. Best mates Rick and Barrel sing “Floating on Cloud Nine” the night before a wedding, and Hannah and Amy make light of their relationship troubles in “M.E.N.”. While the score is instantly accessible and enjoyable, Peter Fitzpatrick’s book is problematic. While I could quibble about small points, like a teacher living in a small flat in Wonthaggi (are there actually any small flats in Wonthaggi?) and visiting rapidly back and forth to Melbourne, the big picture issue of the style of writing is more pressing. West End Madness musical Our House remains the greatest Sliding Doors musical ever written, and Broadway’s If/Then was ambitious, if not fully coherent. 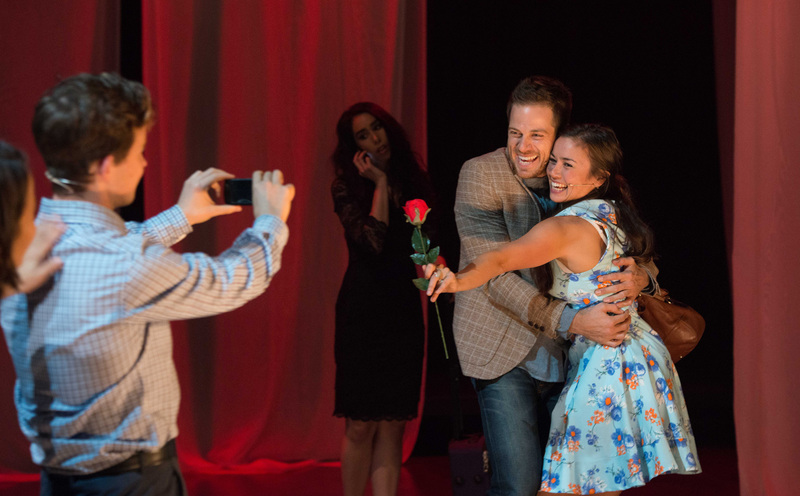 A “what if” musical is interesting, especially given the age and related lifestyle choices of the characters, but Fitzpatrick has used the idea superficially, presenting selected scenes three times, each just written different ways. There are no big choices and no consequences to any of the varying scenes. It is almost like watching drafts of a script play out on stage. 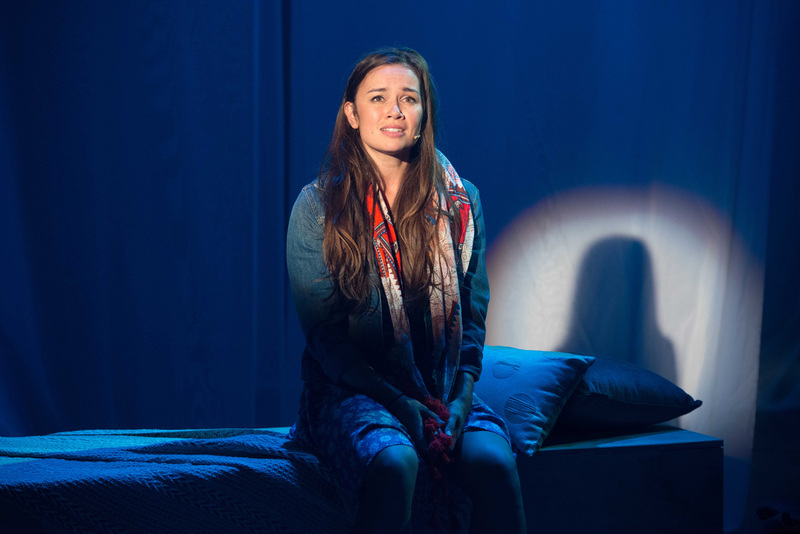 Delivering arguably her strongest work in recent years, Alinta Chidzey is completely endearing as intelligent but restless Amy. The vulnerability and sheer likeability that Chidzey conveys contribute greatly to the show’s success, and her singing voice is divine. Playing comic leads snooty Hannah and earthy Barrel, Fem Belling and Joe Kosky give warm, winning performances. Although the key moment of their relationship development happens off stage, the pair provides plenty of engaging laughs along the way. 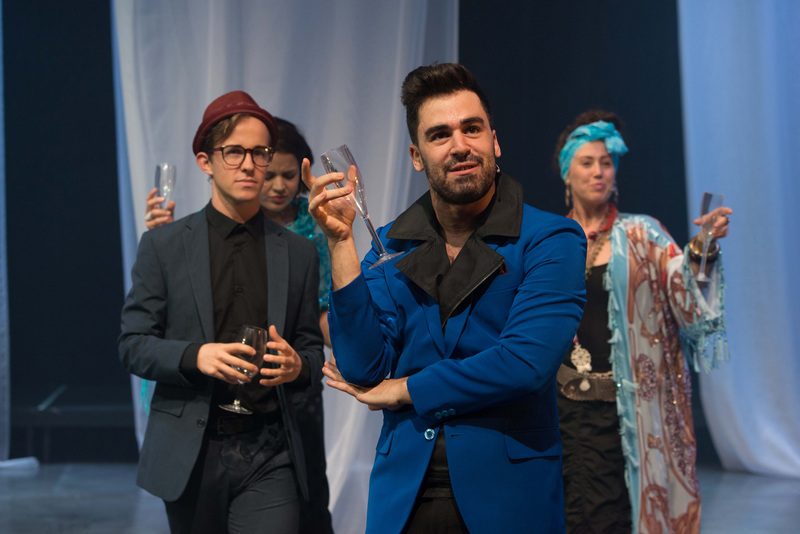 The production receives a massive boost from the presence of four supremely talented performers in supporting ensemble roles: Bianca Baykara, Edward Grey, Bronte Florian and Ryan Gonzales. While they have some nice featured moments, these performers are so strong that they really should be doing more than singing oohs and ahhs in the background and moving scenery. Marcello Lo Ricco’s sound design is gentle and natural. Working on set and lighting design together, Rob Sowinski and Bryn Cullen have come up with a simple but effective staging with lighting that is pleasantly understated. Michael Ralph’s unobtrusive choreography is performed with the same high level of skill that the cast brings to all their work. Kim Bishop’s costumes make great use of colour themes and help to advance the characters’ ages as ten years pass by. For musical lovers who usually see the big budget musical extravaganzas, this is a chance to show support for Australian musical theatre and to see some top performers in an up close and intimate setting. CROSSxROADS was reviewed 6pm Sunday 17 April 2016 at Chapel off Chapel where it plays until 30 April 2016.